Dance Well workshops take place throughout the community including care homes, sheltered housing, day centres and community centres. These participatory workshops are designed to increase levels of physical activity to meet the Public Health England guidelines (150 mins per week), improve balance, co-ordination, mobility and strength in a fun, creative and friendly atmosphere. Dance Well takes dance to those normally excluded from participating in creative experiences, including those with restricted mobility. Many individuals also lack access to the arts therefore workshops provide not only physical activity, expressive responses and enhance frame-of-mind but also chances to enjoy the arts in an intimate, individualised setting. 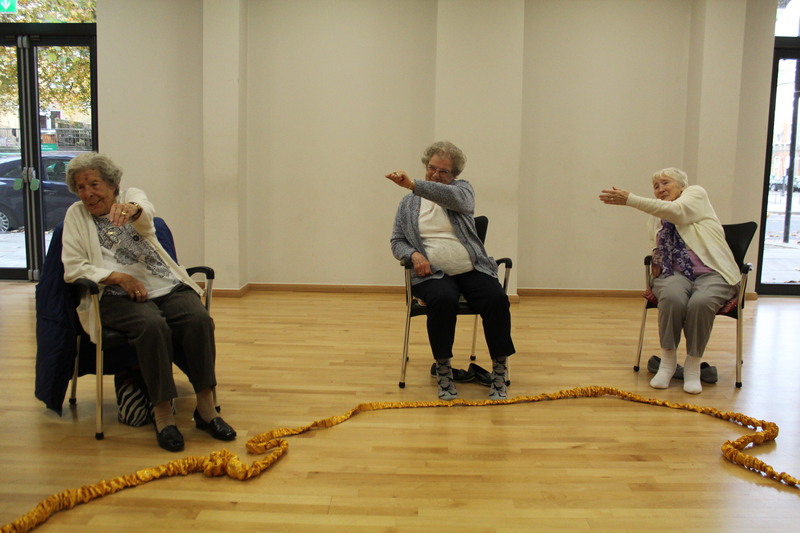 Sessions work around a person-centred approach, with participants invited to contribute suggestions of movements, sound and stories/narrative to group activities. We provide opportunities for individuals to lead the group and to improvise creative movement together, as a group or in pairs. We celebrate and encourage autonomy, with participants controlling the direction the session takes according to their health that day, mood and creativity. 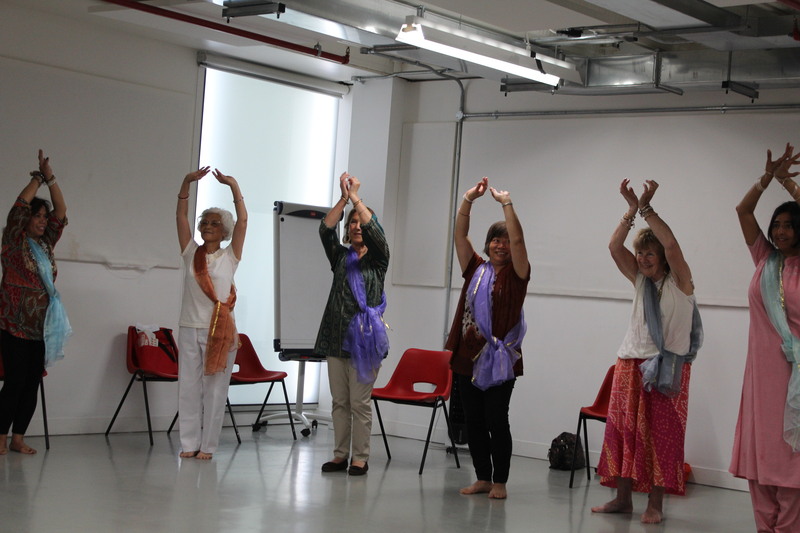 Some groups learn a short piece of choreography which they share with friends and family after a series of workshops, whereas others simply share the enjoyment of movement between each other each week. Each workshop is designed specifically to meet the needs and ability of that group.